“Artificial intelligence will replace us”; “millions of jobs are threatened by artificial intelligence”. I’m sure you all have read those catastrophist headlines. And it’s probably true that the job market will be disrupted on the long run. But I don’t think it’s likely to happen overnight. Most importantly I think some parts of the job market will be entirely safe; those jobs for which creativity is essential are likely to be safe and, most importantly, will be in greater demand in the coming years. Why is it the creative tasks are safe of AI threat ? Can’t an AI be creative ? In today’s article we discuss the very essence of AI and why real creation is out of algorithms’ reach. Artificial intelligence (AI in short) doesn’t in my opinion deserve the term “intelligence”. I’d rather use the term “replicated intelligence” or “artificial emulation” to depict what it really is. Consider for instance this 2016 use case where an AI created a painting in the style of Rembrandt. Journalists wondered at that time what was left for Humans. What is left for Humans is actually to have the genius to be a Rembrandt. In this case the AI merely imitated the style of Rembrandt. But it took decades to Rembrandt to create his style (he had actually several stylistic periods and the AI only copied one facet of his genius). Creating this style is out of reach for an artificial intelligence because it lacks inventiveness. But what about games ? Can’t an artificial intelligence be inventive ? One could argue that the latest developments in AI actually enabled inventiveness. Hasn’t after all AlphaGo Zero learned to play Go by itself, hence “creating knowledge” as some journalists stated? Those who use the term “knowledge creation” are in my opinion partially wrong. AlphaGo Zero has indeed created knowledge. But it created knowledge for itself based on a set of rules defined by others. Those who created the rules are Humans and it is believed to have happened more than 2500 years ago. My argument in this section is that the algorithmic knowledge creation process are limited in their scope. The first generation of Alpha Go learned how to play through historical game data. The second generation played millions of games to learn and eventually to beat human players. But it first needed to know the rules to be able to play. An algorithm can recognize faces, identify tumors, find correlations between distant phenomenons … quicker and more efficiently than any human will ever be able to. But interpreting these results still requires human support. Humans are needed to make sense of the data. As I oftened stressed, correlation is not causation. But, didn’t an AI learn how to cheat in poker games? A year ago specialized magazines made their headlines on an AI that had defeated poker players and learned how to bluff (an essential asset in poker). Libratus, an algorithm powered by 2 supercomputers at the University of Pennsylvania, had just beaten the world’s best poker players in a 20-day tournament of the most complicated variant of all : “No-limit Texas Hold’em”, a variant that requires bluffing skills. “AI is behaving like Humans” ; “AI has learned how to cheat”. I even remember one colleague (who use to be a big opponent of AI and in particular of recommendation algorithms) forwarding me the news to make his case and argue that AI as taking over the world and that we’ll soon all die. “This is the end of the world” he used to say. Well, this is not. In this article published in The Guardian, the authors very well document the algorithmic processes behind Libratus. Art, a set of disciplines where creativity is instrumental, can help us illustrate that creativity and imitation are not the same, yet are intrinsically linked. The very essence of an Artist is her ability to bring a unique touch to her Art. Developing this uniqueness is however often based on inspiration by others. Ex nihilo creation doesn’t exist. It is necessarily based on the synthesis of others’ influences. Consider Pieter Paul Rubens for instance. His stay in Rome and his encounter with Caravaggio’s works produced a lasting impression on him. Caravaggio’s compositions inspired him. 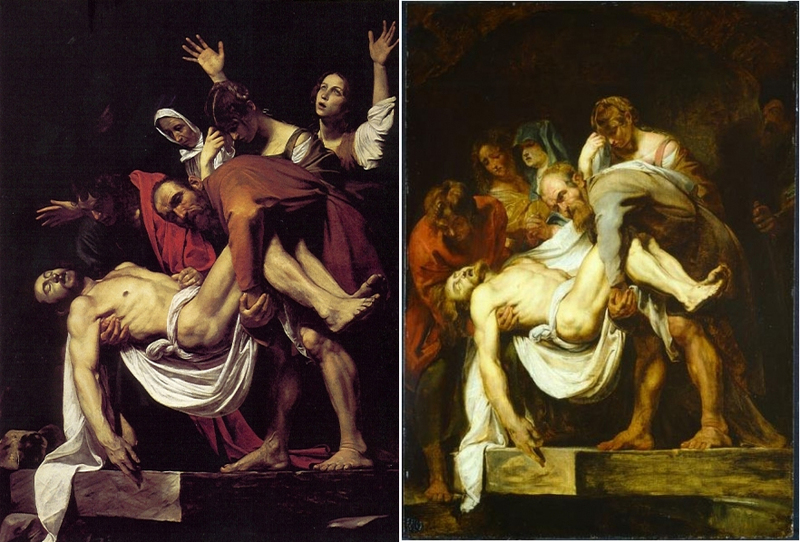 For instance Caravaggio’s interpretation of the entombment (which can be seen in the Vatican museums) was almost completely taken over by Rubens (see below : left is Caravaggio’s painting, right is Rubens’ dated 1611-1612). Reproducing Caravaggio’s composition was for Rubens a way to take note, to integrate this knowledge for later use. Below is the reinterpretation he made in 1615-1616. He changed the composition. It’s not a Caravaggio anymore. 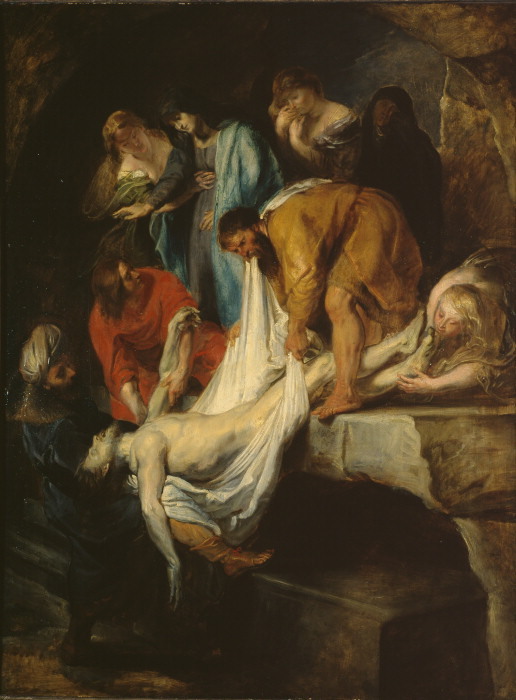 It’s a Rubens (it can be seen at the Courtauld Gallery in London : follow this link for more info about this work). If there is one thing that is unique to the human species, it’s certainly its capacity to innovate. Innovating requires a capacity to break the rules. Yet few people are able to think “out of the box” as we say nowadays. Few are able to be disruptive. When you talk about business you immediately think about geniuses like Steve Job, Bill Gates, Elon Musk. In Art you think about Leonardo, Michelangelo and in more recent times about Pablo Picasso, André Breton. I’m totally impressed by Breton’s work. What is it that made him able to create surrealism? How can the genesis of surrealism be traced back? Where does it start and, most importantly, how does it start? 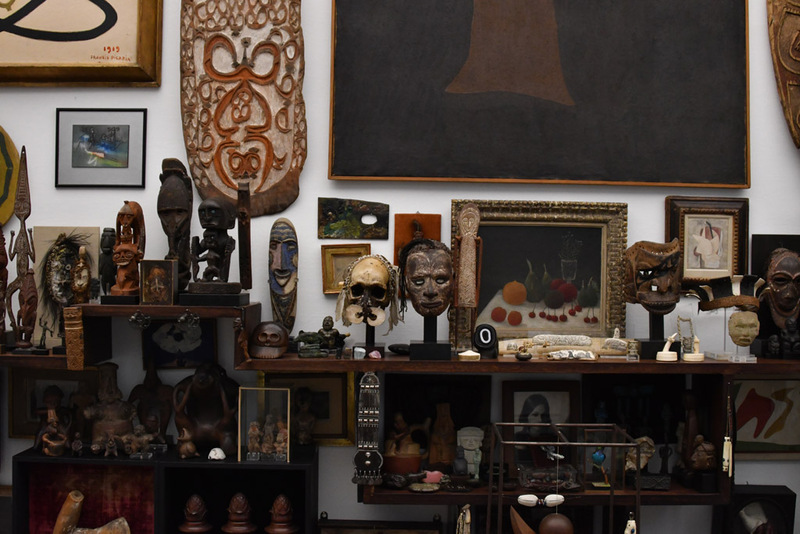 It is thought that Breton’s creativity was fuelled by objects he had collected over the years and that were on display in his office. “The Wall“, as it is called, is on permanent display at Pompidou Museum in Paris (bequest of André Breton’s daughter). It is made of 260 objects and dates back to the mid-50’s (it’s therefore impossible to correlate it to the birth of surrealism) that are said to have fed Breton’s creativity. It takes discipline to be creative. You won’t wake up one day and suddenly be creative. Being creative takes efforts (Rubens “copied” Caravaggio and many other artists to get impregnated by their work and understand their Art). Like Rubens practised all his time, I too very much believe in the concept of exercising one’s creativity. Creativity stems in my opinion from the serendipitous connections we, as Humans, can make between seemingly distant objects, concepts, shapes, stories, … Its mystery can be traced back in the processes that suddenly make to neurons fire together. Making those connections requires that you possess “material” (i.e. knowledge) to compare and that you force those comparisons. You must therefore first of all read as much as possible, on a great diversity of subjects to be able to draw those comparisons. You then ought to write to force this comparison process. Ideas will not flow if you just stay idle. Writing this blog is part of my discipline to fuel my creativity. What are you waiting for to start yours?